First to start with, music has always been a colossal part of my life. I’m from a musical based family. My mother is an Eastern classical-based singer, and a former radio artist from the ’70’s who currently runs a private music institution. The thought of becoming an artist of any sort was always a mystical and fearful attempt for me. I had been fortunate enough to be inspired and be taught basic knowledge of learning music by my mother from the age of 4. I learned to play keyboard and guitar at the age of 11. And that is where and when the journey began….the journey of doing something with the music apparently. In the beginning, I started off as only being a songwriter with a simple acoustic guitar. Slowly the path has changed. Being much inspired and influenced by a certain number of favorite artists and composers, motivation of choosing the path of diversion from making “something” out of it with ears to actually creating “something” with heart and soul took place. And that “something” thus appeared to take the form of melody, emotions, harmony, sentiments, love, desire, hopes…..what we sometimes call together as a whole….music. Thus the peregrination continued and still is. So what made you start Cadenced Haven (CH) after all? Well, every creativity I believe emerges from a profound origin of inspiration from a certain distinctive aspect of life…. be it irrelevant, illogical or even inexplicable. For me, real life events are accountable for choosing the concept of making music as a get-a-way from certain measures of incompatible situations and happenings in this earthly existence of life. The awareness and aspirations of different views reflect through a certain approach of craving from within the inner soul and consciousness. It grew slowly inside of me too, establishing a new reason to analyze distinctive visions on the basis of spiritual contemplation in pursuit of finding the depth of a meaningful but solitary world. And that is when and why Cadenced Haven had been formed to play its role accordingly and to help me see the “visions” of different lives individually through its powerful element which is its virtual attempt to reflect the reality in certain positive means. Music in this case is the essence of purity, hopes, desire, inspiration, love, emotion, passion, spirituality and devotion that Cadenced Haven hopes to come up with for the listeners. It want to enable them to find their own world of visionary thoughts, hopes, love and inspirations. This project always tends to see the world as just the way it wants to be seen, but not as it is normally set eyes on. And there lies the difference…. The journey has just started, like I mentioned earlier in my online biography, CH has yet way too far to go to face its challenge and to take its listeners spiritually to another new level of horizon. But hopefully, they will enjoy this peregrination with Cadenced Haven musically and authentically. So what did you do before Cadenced Haven? The answer is simple for me in this case. It’s quite the same as what I am doing now but with the exception of the fact that I had not yet entered the world of composing music then. Let’s put it this way, before Cadenced Haven I was rather preparing myself to attain the courage to somehow find the possibility to get to the long road. The road to a new peregrination, a new world, to the destination that is already destined but yet to be discovered. I have always tried to evaluate my visions about the world and perhaps always see it in a different way, positively of course. When it comes to the point of thinking socially, then I should say that I was busy with work and studies. Took some time out before I could start with the Professional Honor’s degree and thus got engaged in preparing myself to utilize this time with creative thoughts and a new beginning. Therefore, Cadenced Haven had been formed. And the rest followed accordingly in this part of the “world”. Your debut album “Peregrination” was released in March 2010 through Groove Unlimited. What can you tell about the process of creating it? Well, to put it in a simple way to explain that, I would say, the only goal that Cadenced Haven always intends to focus on is to reach a distinctive level of making better music which would bear the capability to articulate its true feelings, expressions and high imaginations more authentically. However, since I’m just a beginner, the only strategy that I have always followed is the concentration on creating an epoch-making music which can develop into a new era in the listeners’ world. The whole process of making this album is just a reflection of learning experiences musically as well as business wise. It took near about one and a half year to basically complete the album as a whole. There had also been many ups and downs in between, regarding the music and the approach towards the world with it. Cadenced Haven has been fortunate enough to be able to meet many different talented and popular musicians of various genres from all around the world in the journey of making this record and learned about many thoughtful aspects on the way. Every track in this album has an individual personality and is the result of certain unspoken thoughts straight from the mind, reflecting the basic escapism into the hopeful world of humanity and morality. I have learnt to grow more musically while making this record. The whole process taught me to realize the difference between each level of making music with pure mind, soul, heart and brain. This whole concept has helped Cadenced Haven build up a category of its own which is yet to be shared with the world completely but through future releases individually. On the other hand, I must show my gratitude towards Gert Emmens for his initiate help and supportive approach to make this record come to life. During this process, it has also been a pleasure to get to know another talented female composer from US, Susan Baird, aka Dreamaiden, who made the beautiful cover art for the album. In addition, Cadenced Haven is very glad and honored to be a part of the range of musicians of the Groove Unlimited label. Hopefully, listeners will enjoy this debut of CH and thus can relate to the message it has to offer the world. It basically depends on the kinds of music and the elements of nature in it that tells the story itself melodiously. Sometimes, I come up with the rhythm or beat firs, then blend various sorts of harmony, keys and melody in it and synthesize with different ideas of musical patterns to go with the track as a whole. Sometimes, it happens vice versa, which is… melody comes first, then rhythm takes its part to give it more thoughtful narrations. The most interesting part of composing music for CH is that once an idea is locked into mind with a new project track, the rest of the conceptions just follow the composition accordingly. The story itself is built up through the rhythm and harmony. I only follow the pattern of its self written melody and blend it in with various kinds of narrative thoughts by placing these “self-designed” elements into the right notes. To me, this whole concept is a miraculous aspect of creativity. This part of the creative world has shown me the ultimate power of music. I believe, it is not just a concept but rather a living “life”…. music is but a composer itself! We are all just followers who are simultaneously engaged in using our skills to recognize such parts of music at different levels of mind and experiences. It is the pure initiate and confidence that enable us to realize the actual concept of this music. The better the apprehension we attain, the more experienced we get…. the more closer music gets, the more better a composition gets. That is how I see it when composing a piece. It is of course an opinion and I believe others do have their relevant explanations and opinions about it too. But well, it has always been this way for Cadenced Haven when it comes to composing music… or should I say “recognizing” music to help it produce a better music track. So where and how did Dutch electronic musician Gert Emmens come in? What do you two share when it comes to music? It was last year, around March 2009, when I first came to know about this famous EM artist, Gert Emmens on a UK Podcast, TDFZ by Chris Newman. I was very much impressed with his amazing musical skills by then. A few months later I greeted him by an email and was very glad to discover later on that he also liked CH’s music and I am much honored to say that the next thing we knew was that we were starting to collaborate on a track together, and therefore our first collaborative track, “Devoted Loss” had been completed and thus this is how we got in touch musically. In time we became very good friends and I am also honored to have learnt many important aspects about making music from this respectful artist. It has always been a great pleasure to be able to work with him as he understands the basic concepts of Cadenced Haven. It is always very harmonic and unique to collaborate with such an artist who is as respectful, supportive, understanding, helpful as he is towards CH. What we discovered about each other while working on music together is the thoughtful approach of making music with total freedom of mind and soul. It’s the emotion and musical feelings that we both portray through each of our own tactics on music and incredibly share the same thoughts which we could put in it to complete a whole story of musical line for the final output accordingly. Another very interesting part of our collaboration is that every aspect of our musical phases goes quite smoothly and harmoniously. In this process, I learned understanding, respect and patience play a very important role. CH is very grateful to him, as he has done the final mastering for the debut release. We collaborated on three tracks and he added his beautiful synthesized touch to another two tracks. We really enjoyed working together on this record. My appreciation, gratitude and respect will always remain there for him. What are the thoughts, stories and ideas behind your music, and choice of the single track titles and the album name? Each artist has his/her own unique style with different motives, intentions and ambitions. As for me, I follow the same pattern. The willingness and confidence to come up with an answer to a certain concept of music is the only weapon that Cadenced Haven possesses to stand out from the competition with its individual style and accent of melody it preserves. Thoughts, ideas, emotions and stories do play a very important role when it comes to creativity. 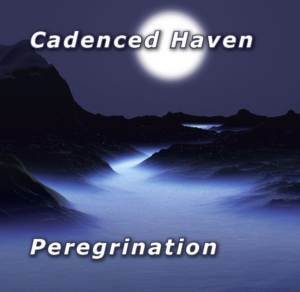 The music by Cadenced Haven does reflect distinctive thoughts of various sorts. When I compose music, different kinds of observations about certain things in life, various kinds of experiences build up certain emotions to create an image of melody that hopes to reflect sub-consciousness of the composer and the listeners as well. Every piece of a musical note does bear individual personality. If combined together, the whole output seems to reveal another new story. Likewise, every track of this debut album is an element of a story as a whole. Each track symbolizes different stages and aspects of life, some are understandable but yet inexplicable to some extent and carries certain meaning of existence, individuality, personality, vision, thoughts etc. And that is how these elements (tracks) had been named, basically inspired by the fact of various aspects and visions of life accordingly. The debut album is called “Peregrination”, which means journey. Cadenced Haven has started this journey not long ago. It is yet to learn and see more in future years to come. It’s a journey of hope, desire, acrimony, love, positive attitude, nature, consciousness, humanity and other related conceptual matters. It’s a journey which has its destination built up by the power of will. There are many roads to choose from, many people to meet on the way, but the most important asset that holds the capability to remain at the end of the journey….. is our mortality. The word peregrination may portray different images and meanings to different kinds of people, but in the end our ultimate destination is the same. Only the roads are perhaps considered in various ways but still….. the journey carries the same eventual aspirations. Bearing such thought in mind, CH came up with this name with the hope of listeners to join this new venture with me, also for them to realize that one way or the other we all walk down the same road, before or after. We are not alone. Is there a connection between your music and your personal life? As said previously, music obviously plays very important role in my life. It showed me the way to survive. It has been my salvation all along. There are certain things in life that cannot be expressed in words, but music makes it quite easy to convey such message emotionally as well as spiritually. There are certain things in life that teach us what life, itself, is all about and music in this case, for me gives me hope to face such confrontations with keen thoughts and mind, and spirituality too perhaps. For me, there is none other way than through the narrations of melody to expressing things learnt from life. 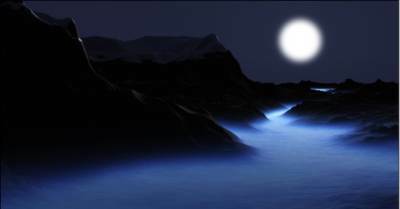 It not only helps me to express the feelings that I experience but also to find answers to the lost questions…. the questions that evolve from life, emotions, practical situations and mystical consequences etc., which we tend to avoid intentionally because of the fear of facing the truth of reality. But music can have the power to evaluate such feelings and turn them into illuminated knowledge and help us regain inner strength to move ahead. This is what music has taught me, and thus it is soulfully connected to my personal life. Are you part of any other musical project(s), or are there you like to be involved in? Yes, Cadenced Haven has been lucky enough to be able to collaborate with some of the most talented musicians around the world. It’s been a pleasure to be able to work with Patrick St. Claire, a professional guitarist from USA, a new indie rock band called “Hay Stak” from USA. And there’s “Going After Zen” from UK, a respected composer of psychedelic music, and Gert Emmens from Netherlands, one of the greatest EM purveyors known today. In addition, CH has also been a part of a US voluntary country group project called Voice Of Hope, in which many respectful country artists are involved, and CH has been honored to be participating in one of its Band Aid version tracks called “Let’s just try”, written by David Bethune and produced by Greg Pando (who also played with Willie Nelson, Leanne Rhymes, Chuck Berry etc.) It sure was a new challenge for CH as lyricist of the track quoted. Also there are plans for future collaborations with several other musicians, such as Sally Cooper, a female vocalist from Australia, and Lisha, professional recording artist from Germany. When time permits, CH sincerely hopes to make more collaborative tracks in the future with the respected ones mentioned above. CH is also honored to have its first official track “Haven” released on the 2009-compilation album, “Eye Café Volume 2”. This digital album has been put out by the very famous Italian label Eye Lounge Records, and it’s now also available in several online stores, including Beatport. I hereby again like to thank Elvio, Francesco B. and Claudio for the initiative and the opportunity. I also hope another new compilation album might be out from Malta’s Exotique Records on account of Mother’s Day, as it CH’s single “Paradox” included. This album is probably going to be released in May 2010. Besides that, Cadenced Haven is delighted to be working with Gert Emmens. As mentioned previously, we worked together on a few tracks for my debut album “Peregrination”, but we are now working on a collaborative album. I’m not sure yet when it is to be released, as just the initial steps for it have been taken, but we hope to keep the listeners posted with recent updates accordingly. Laila, what does your studio look like, any kind of musical gear do you use, any favorite(s) that you use as main instrument(s)? Cadenced Haven has started off being a virtual digital music project and it still is. So, I must say several kinds of digital software are much more utilized in CH’s world. My computer is the main studio where all the compositions are taking place, from the very beginning till the end of every project. I often use various kinds of editing, mixing, audio software with many VSTs and sample sounds. Next to that, I use the Yamaha PSR 550 synth for all kinds of MIDI oriented activities to blend in with other VSTs for composing projects. My favorite instruments have always been guitar, keyboard, piano and other related synths. 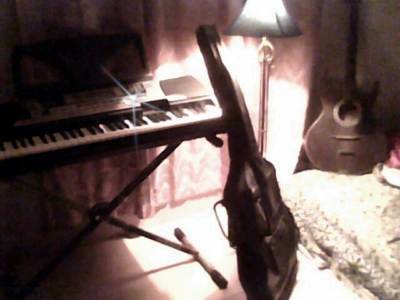 I use my Yamaha keyboard as the main instrument, the guitar when it comes to using hardware gear. CH is very pleased and quite amazed by modern digital, music composing software for its remarkable capability to articulate the composer’s inner imaginations. It also helps to reflect musical ideas so intensely and perfectly that it makes things so much easier to express feelings through melody. Due to their possibilities one doesn’t even have to deal with analog synths at times to some extent. Most of all, in the process of composition and all elements related to it, I learned how important it is that every part of musical notes and emotions in a particular track should be harmoniously sketched and designed with heart and mind….. it certainly doesn’t have anything to do with what any kind of analog synths or digital software we are using. In the end, what matters the most is the imaginative thoughts that different composers share while composing, which defies their musical style from others. Using better synths or software sure plays a vital role in helping oneself to express spiritually and musically. But yet inexplicable thoughts are more authentic without which sharing such emotions with the world would not be possible at all. So what future plans do you have in mind? Future will always be future, but we all still have our ways to design different patterns of it in each of our own fields. CH has drawn such patterns too and hopes to articulate them accordingly in times to come. I hope to start work on the next CH album project later this year. Hopefully, this time it will come out with a slightly different essence of its style. A new category of its own meaning and style will be reflected through the next release and so on. I am thinking of adding vocals of various kinds in my future releases, as they go well with the ambient moods of CH. And there’s the full collaborative album with Gert Emmens. CH could also be involved in one of the tracks of the forthcoming prog-rock album Gert Emmens is planning for several years. CH also has found a friend in multi-platinum producer and four-time Grammy Award winning engineer Malcolm Springer from the US. His skilful musical touch is featured in the movie soundtracks such as “Spider Man”, “Scream 3”, “2 Fast 2 Furious”, “The Horse Whisperer” and many more. He showed interest in working with CH, so I and his team hope to collaborate in the future if and when time permits.